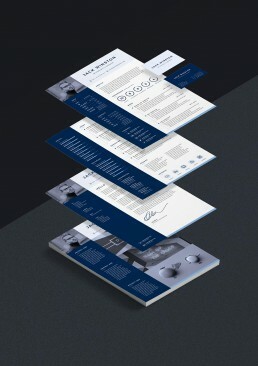 PRO Resume 3, is the perfect resume template for the business professional who wants to stand out from the crowd. PRO Resume 3 is not just impressive to look at, the resumes compact design has plenty of space for your professional work experience, internships and education. The side bar contains all your personal information, contact details, social and business profiles, skills and references. 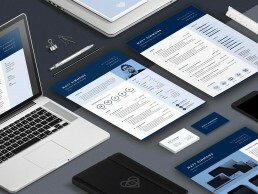 Infographics and icons compliment the text and highlight key information on your resume. 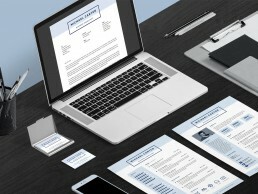 The resume package includes four page templates for both A4 din and US Letter pages size. The page templates includes two resume pages, matching designs are included for your cover letter and portfolio, the package also includes matching business cards to complete your job application. PRO Resume 3 is easy to edit and the templates can be fully customised in Microsoft Word, Adobe Indesign, Adobe Photoshop or Adobe Illustrator. 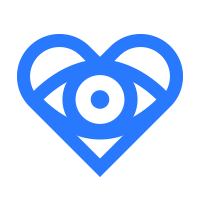 130 social media and interest icons are included. 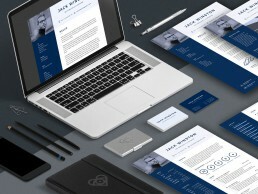 The design uses FREE fonts (download links are included in the package). 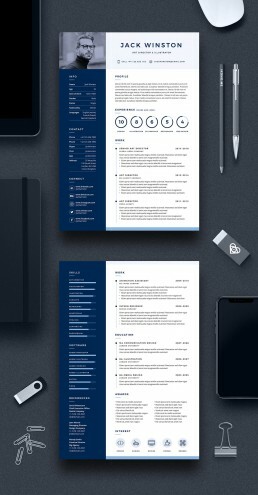 PRO Resume 3 template will make you look more professional. 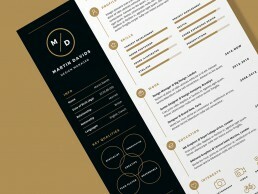 PRO Resume 3 design highlights your main experience and key qualities. 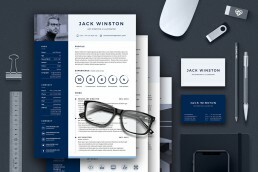 PRO Resume 3 includes two resume pages, cover letter, portfolio and business cards. 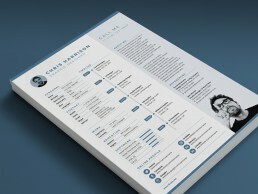 PRO Resume 3 resume template is fully customisable and easy to edit.